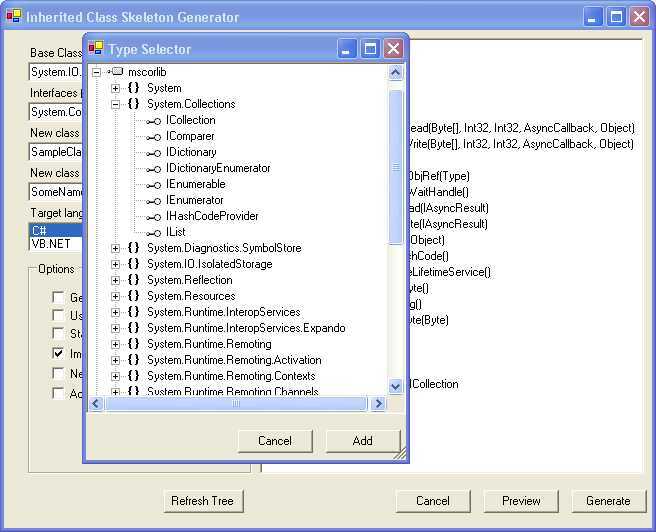 Inherited Class Skeleton Generator (ICSG) is handy tool, which can be used to make your programming under .NET productive. 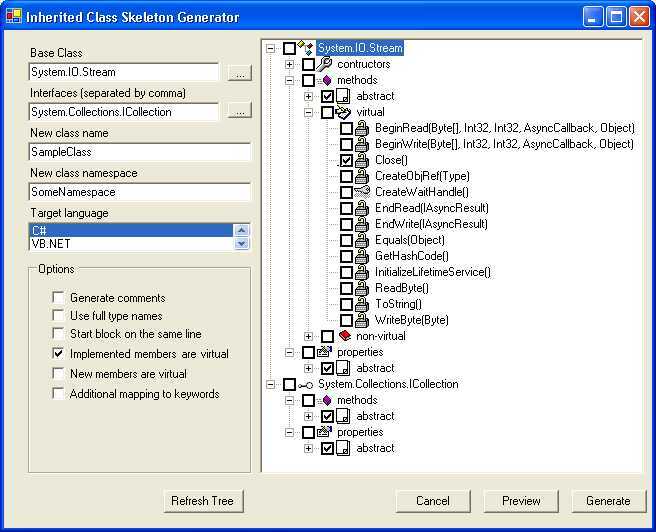 It quickly generate class skeleton with needed members. 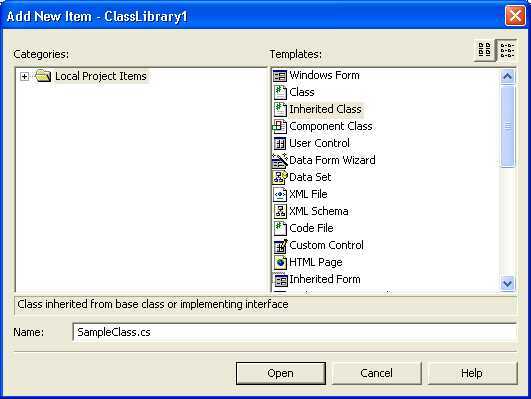 ICSG is written in C# and utilizes Reflection and CodeDom namespaces of .NET. For other details about ICSG tool see its readme file. To download this tool and its source code go to download page.